I recently had a call from an advisor whose retiring clients planned to sell their current home, withdraw $300,000 from their portfolio to add to the sale proceeds, and buy a new house outright. The money they wished to take out represented 25 percent of their accumulated wealth! Fortunately, their advisor convinced them to pause, have an expanded conversation, and consider all the options for meeting their goals. He knew that housing-related expenses can dramatically impact (for better or worse) a retiree’s income, time, and lifestyle enjoyment. Where a retiree will live as well as the length of time he or she will live there is, perhaps, the most foundational retirement-income planning point that can be considered. It requires a conversation in which advisors use every legitimate tool in their toolbox. More on this later. A recent study, completed by Del Webb, explored the home buying habits of those age 55 and older. The surveyed group was asked when they would consider purchasing a home: 38% said they would buy a house within the next three years, with 11% looking to purchase within the year. Retirement (39%) was the primary motivating factor, followed by the need to downsize (33%), and the desire to move to a better location (30%). Florida remains the #1 destination for retirement, followed by Arizona, North Carolina, and South Carolina. The top three community amenities that Boomers want in their next home’s location: near grandchildren, access to water, and plenty of park/open space. Cost of living (82%) is the top consideration for the location of baby boomer’s next homes in retirement. 74% said access to preferred healthcare programs was a top factor in deciding where to relocate. Baby boomers expect to retire at the age of 63.7. That’s a decrease from 65 years of age last surveyed in 2013. Retirement is a transitional time, and it makes sense that a growing number of Boomers are thinking of moving. As I mentioned earlier, the housing choice is the most foundational decision retirees can make as they consider their retirement income planning “next steps.” From my many conversations with retirees over the years, I’ve compiled a list of common housing options. I’ve used the stars to indicate the level at which I recommend for each based on (1) average, successful retirement outcomes, (2) level of overall retirement enjoyment, and (3) affordability. Now that we’ve taken a look at the traditional options, I’d like to present two non-traditional options that could be right for your clients. If your clients are confident that they have found their “forever home,” then the traditional Home Equity Conversion Mortgage – HECM (formerly referred to as a Reverse Mortgage) may be the supplement to their retirement income plan that will allow them to remain in the house through all of retirement. Using the HECM option will free up dollars for increasing expenses or unexcepted costs and add dollars to retirement savings. It could also save clients the hardship of an unpredictable tenant or relationship-strain among family members. Here’s how it works (for more information visit www.HECMBasics.com) Senior homeowners, age 62 or better, convert a portion of their home’s value into tax-free dollars with the flexibility of making a monthly payment or not. Loan proceeds can be used to pay medical bills, finance living expenses, in-home care, a dream vacation, or for unexpected expenses. The loan does not become due as long as the borrowers live in the home as their primary residence and continue to meet the obligations of the mortgage—paying property taxes and insurance on the home. Furthermore, it’s insured by the Federal Housing Administration (FHA). Like all Reverse Mortgage loan products, certain eligibility requirements must be met. Borrowers must be 62 years of age or older and own the property outright, or have paid down a considerable amount. They must also meet with a HUD-approved Reverse Mortgage Counselor prior to applying for a Reverse Mortgage loan. 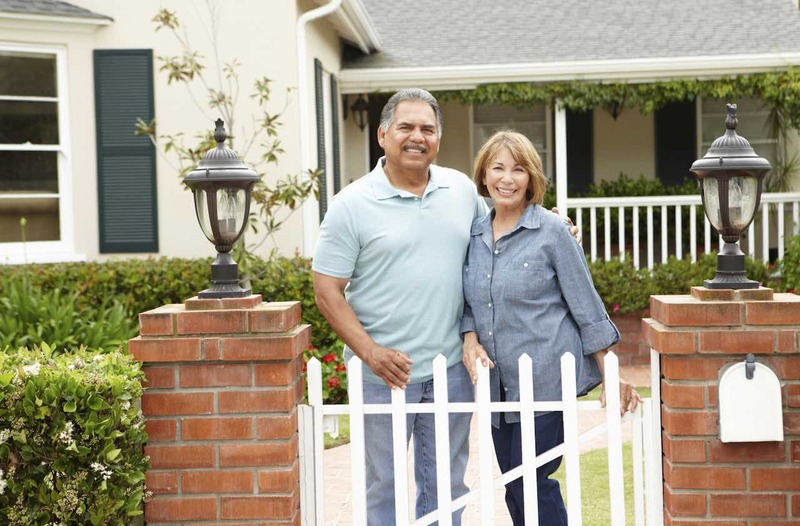 Another study conducted by Merrill Lynch and Age Wave, suggests that more than 50% of Boomers are willing to move. This is consistent with earlier research from the National Association of Home Builders as well as the National Association of Realtors. For retirees ready to make a housing change, the HECM for Purchase may be just what the doctored ordered. In 2008 as part of the U.S. Housing and Economic Recovery Act, both houses of Congress as well as the President approved an entirely new type of HECM/Reverse Mortgage—the HECM for Purchase. Commonly referred to as the H4P, this tool allows those 62 or better to purchase their next home for about 60% down and make no monthly mortgage payments. This means retirees can purchase more house, use less proceeds, add new dollars back into savings, and never have to use their existing retirement savings if they don’t want to! Recently retired, Pierce and Linda were experiencing concerns regarding their housing related expenses. They had a four-bedroom, 4,000 square foot home that was worth more than $500,000. Ten years ago, they had taken out a mortgage to help their children as well as make some modifications to the kitchen and master bathroom. Although they had more than $400,000 in savings, Linda couldn’t shake the nagging feeling that they might run out of money if they lived longer than they had originally expected to. Pierce thought he would be playing a lot more golf, but was discovering that retirement was a more expensive than he thought it would be. He was concerned that his lifestyle, especially his time on the green, may need to be scaled back over time. Pierce and Linda’s advisor had a good head on his shoulders. He understood that housing and its related costs were items that must be carefully considered to optimize retirement outcomes. Working with their advisor, the couple reviewed the Seven Housing Strategies outlined in this article and implemented the one that allowed them to purchase a new home, eliminate their monthly mortgage payments, and add $254,000 into their retirement savings. More cash meant more golf for Pierce, and added dollars in their retirement savings brought Linda the peace of mind she desired. And have $400,000 left over in proceeds. A “Traditional Downsize” strategy could have worked for them. They would have used the $400,000 in proceeds to buy a $300,000 home. They would have then had a new home, no monthly mortgage payment, freed cash flow, and $100,000 to put back into savings. Not too bad. However, the story stated that they put $254,000 into their savings. How did that happen? It began with their advisor asking them, “If there was a way to increase your cash flow, reduce your expenses, and add dollars back into savings, would you want to hear about it?” They did. The advisor then told them about three HECM for Purchase (H4P) options, and how they could utilize their $400,000 in remaining proceeds from the sale of their departure home (see chart below). Upsize: They can purchase a $600,000 home for about $300,000 down and still pocket $100,000. SideSize: They can purchase a $400,000 home for about $200,000 down and still pocket $200,000. You can see how the H4P can create tremendous retirement income reserves without impacting cash flow, or the quality of life clients are used to. For this reason, I give the H4P a 4-star rating for positive financial impact. An advisor has the unique opportunity to consider the future and cast vision for their clients through dialogue and strategic questioning, yet the “housing wealth conversation” is frequently the stone left unturned. However, when it is implemented correctly, it can be a most impactful tool. Today’s retirees have more challenges and less certainty than in times past. The advisor who understands the impact of housing-related expenses and enters a courageous conversation about the Seven Housing Options, not only proves to be forward-thinking and comprehensive, but also a real game changer and pioneer for the whole retirement income planning community.